This post is less about me show­ing off as a pho­tog­ra­ph­er (yes, we do that, don’t we 😉 and it’s more about just lov­ing Durham. This pho­to is from Oliver’s first trip to Mel­low Mush­room today. We’ve vis­it­ed, (and now live in) Durham, for over a year now, but I have yet to resort to grab­bing any nor­mal, nation­al-chain piz­za. 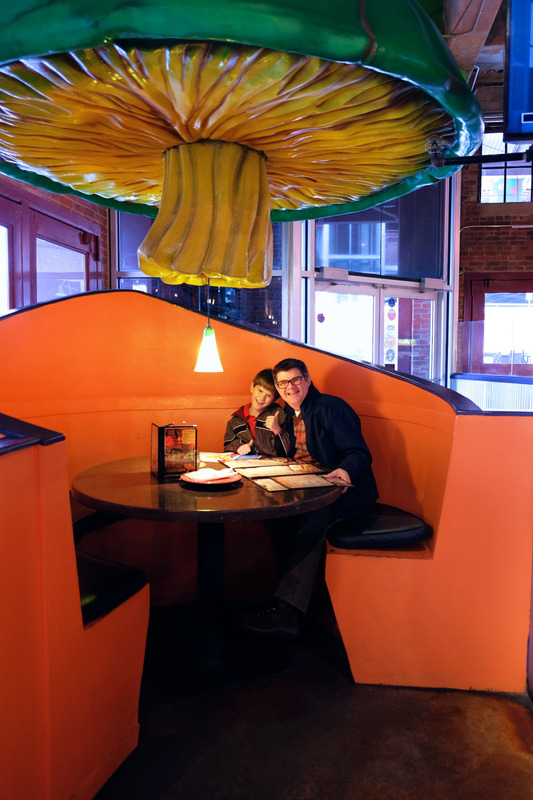 So here’s to piz­za in Durham, and Oliver’s first trip— and a big thanks to our awe­some wait­ress Kier­sten for tak­ing this mem­o­ry pho­to for us!